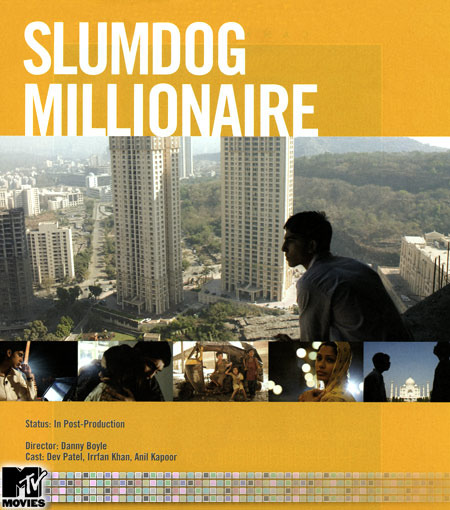 A Mumbai teen who grew up in the slums, becomes a contestant on the Indian version of "Who Wants To Be A Millionaire?". He is arrested under suspicion of cheating, and while being interrogated, events from his life history are shown which explain why he knows the answers. Great movie with amazing background (and foreground) score, I still feel this movie is fairly overrated. It closely touches the bitter reality and the aspects of 'Real' India unknown to many. However I'm not sure if I would want to highlight it too much. Global recognition for A R Rahman's music is a step ahead in marking the Indian Art industry presence in the world media. Otherwise, A R Rahman has done far superior compositions many of which are sadly ignored. A good movie... 6 on the scale of 7: C-SAT! The right weightage to every character and a good balance of the flow. Especially, if you're into theatre abd plays, you're bound to love it; Naseeruddin Shah, Ratna Pathak Shah, Paresh Rawal, Rajat Kapoor, Anuradha Patel... it really was a rich movie! The lead actress (heroine?) was "cute" as Barkha could decide, and the lead-actor (Imran Khan) wasn't bad either. And the Jignes Patel guy kept reminding me of Pradeep (although he was sitting right next to me). I really want to write a lot more, but can't think of anything. It's 5.52 in the morning and I should hit the bed.